This piece measures approximately 13-1/2 x 9-1/2. It is a Command Sergeant Major patch made for a retired Sergeant Major. Colors are Green and Gold. For more information please call (713) 899-0933. 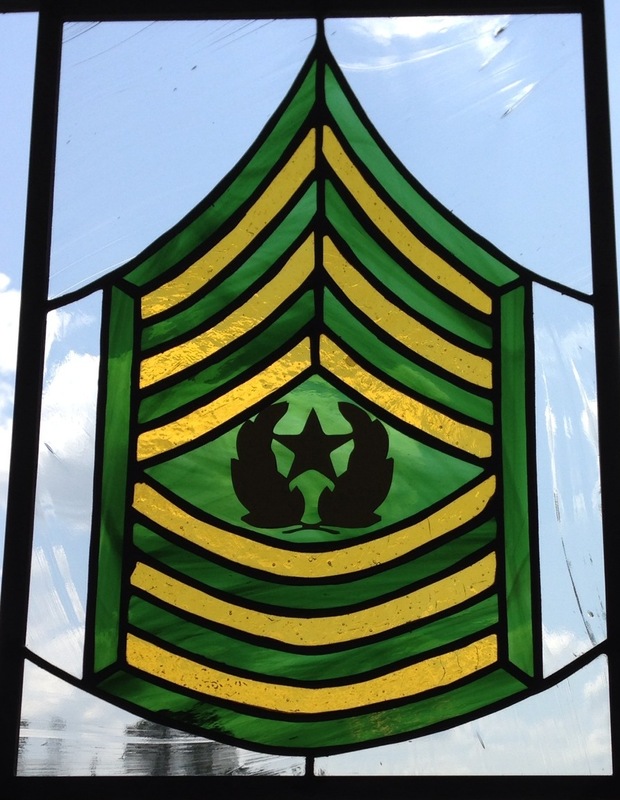 Any military emblem can be produced into beautiful stained glass!! !